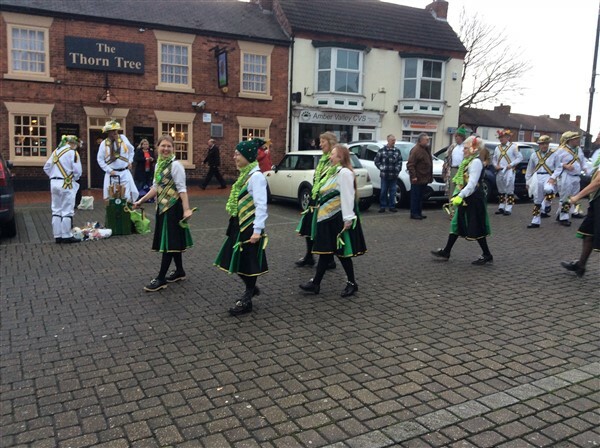 Ripley Green Garters are a women's North West Morris side celebrating 36 years together. 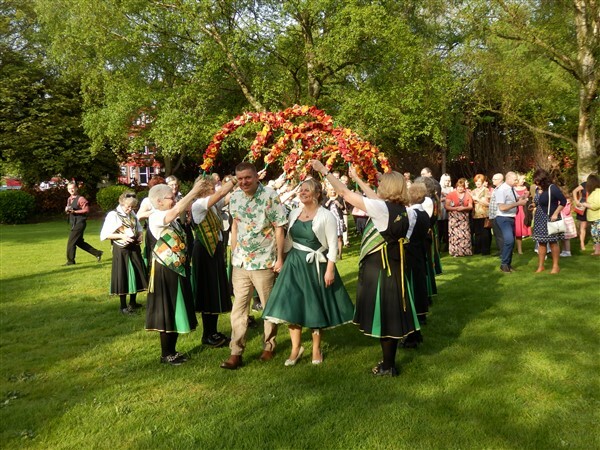 We hail from the east coast of Derbyshire (Derbyshire is widely known as "an island of culture in a sea of barbarism"). Our ages range from 28 to 70+ and energy used is in direct proportion to years. Thus, you're more likely to catch an alluring glimpse of garter on black stockings on a more mature member. 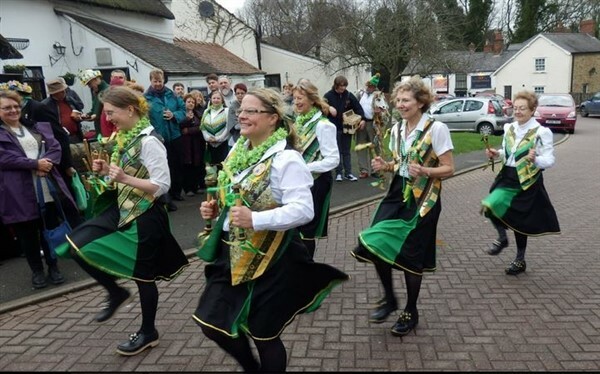 You will recognise us by our brightly coloured, individually designed, patchwork waistcoats and black skirts trimmed with green. 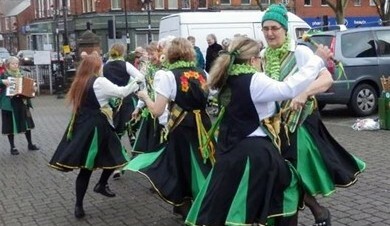 RIPLEY GREEN GARTERS are always happy to welcome new members, musicians - Male or Female, Dancers - Female 14 and over. You'll never know what you are missing if you don't come along and give it a try. It's a great way to keep fit (more fun than aerobics and more sociable than walking the dog). 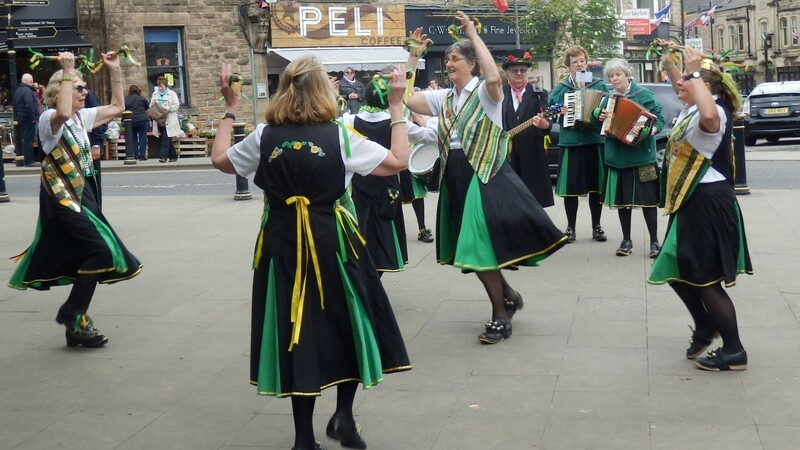 Angela Ripon in her BBC programme "How to Stay Young" said it was official dancing is the best way to keep body & mind together.